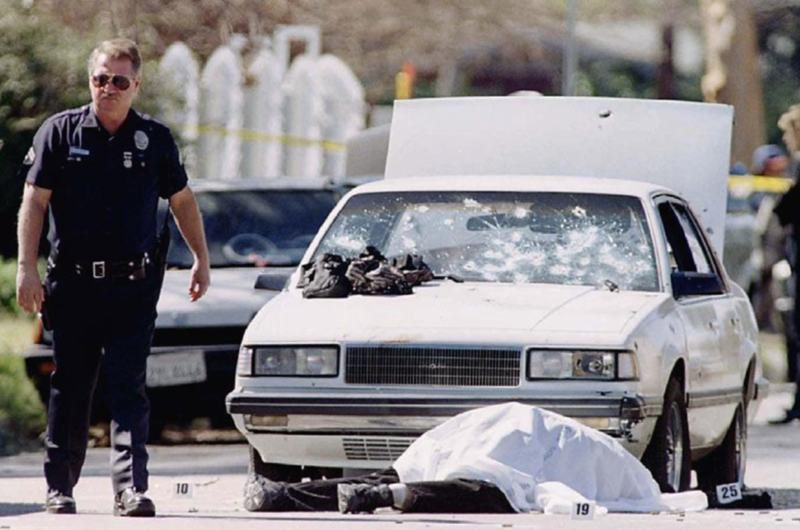 Rising from the ashes of the Miami Shootout of 1986, the FBI Ammunition testing standard started with the goal of giving law enforcement planners the information that they needed to make informed decisions about the terminal ballistics of defensive handgun ammunition. Consisting of six target materials, the ‘FBI Protocol’ as it is also called requires a bullet to pass through each of 5 different tactical barriers and evaluates the capacity of said bullet to deliver a fatal wound to an attacker in each corresponding tactical scenario. Ammunition that scores highly in this scoring system can be regarded as an excellent choice for Concealed Carry and Home Defense as well as Law Enforcement use. To be considered for civilian personal defense and Law Enforcement duty, a handgun bullet is shot 5 times through each of the following barriers: a bare ballistic gelatin block, a ballistic gelatin block covered in heavy winter clothing, two pieces of 20-gauge sheet steel (simulating the thinnest part of a car door) and then ballistic gelatin, wallboard and gelatin, plywood and gelatin and laminated car windshield backed by ballistic gelatin. The penetration depths in gelatin of each of the 30 bullets are then measured, the bullets are pulled from the gelatin and are then measured for expansion and retained weight. All of this data is entered into a spreadsheet which applies the appropriate weighting factors to the data. 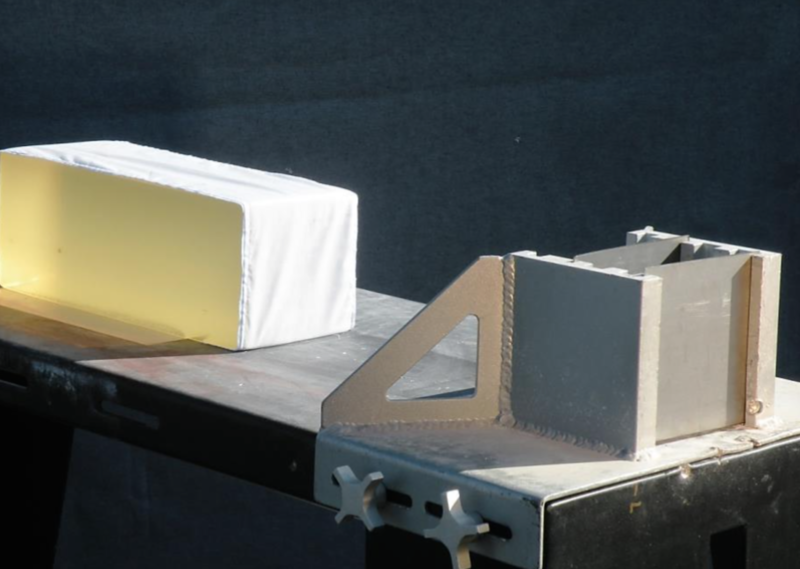 Penetration depths between 14.0-16.0 inches in the gelatin blocks are rewarded while under-penetration and penetration over 18.0” are penalized. Given that the FBI Protocol came to be due to an otherwise fatal hit that failed to stop one of the Miami shooters, due to under-penetration, bullets that penetrate less than 12.0” are penalized heavily. All shots are taken from handguns at a distance of 10 feet. The final result of the calculations is a numerical score out of 500 points that will tell you the suitability of the tested JHP for use in self-defense or for law enforcement duty purposes. The score is not a direct measure of lethality; it is a measure of the terminal reliability of the tested bullet out of the tested barrel length. This is, however, an indirect indication of handgun lethality — pistol bullets that fail to expand typically inflict minimal damage on the target while bullets that expand well and fail to penetrate will fail to incapacitate a large attacker or an attacker who is turned sideways at the time of impact. The shooter must hit and the bullet must be designed to perform reliably once it hits the target. Let us now take a look at the process behind obtaining the FBI Score and find the relevance that the Barrier Standard has to us in selecting the appropriate self-defense ammunition. 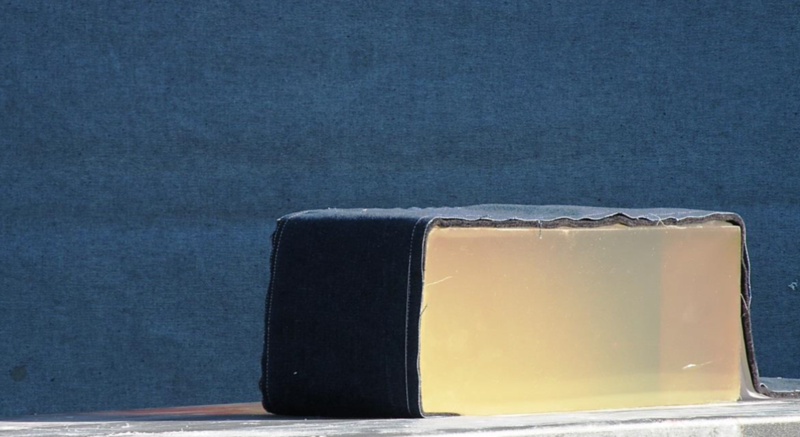 A ballistic gelatin block for usage in FBI testing is composed of porcine gelatin (mixed at 10% concentration), dissolved into water at 140 degrees Fahrenheit and refrigerated for 2 days before use. It must meet strict calibration criteria before being considered valid as a test medium in the FBI Protocol. When gelatin cools and solidifies it becomes a flexible solid with mechanical properties similar to human muscle tissue. 10-percent gelatin blocks match the low-velocity flow characteristics of living muscle tissue and have very similar density to mammalian muscle tissue. Muscle tissue is present all over the body and is tougher than fat tissue. In this way, the Bureau’s designation of muscle as the target represents a wise choice for a reasonable worst-case scenario upon which to base future defensive ammunition designs. 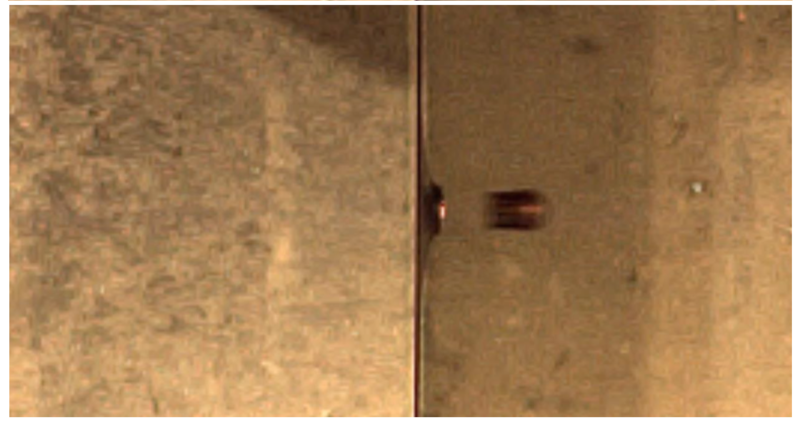 Bare Gelatin is a baseline for comparison to the other shots in the Protocol testing since gelatin is present at the rear of all of the barrier materials and is used to assess the damage potential for a bullet hitting a shooter hiding behind said barrier materials. Bullet effects in Bare Gelatin are similar to bullet effects in Bare Gelatin covered by Light Clothing (a cotton undershirt and a linen dress shirt), so it covers the ground nicely in terms of addressing bullet interaction with people dressed in warm weather clothing. Bullets that fail to penetrate to 12.0” or deeper in this block can be expected to receive a low FBI score and should not be counted on for self-defense uses. 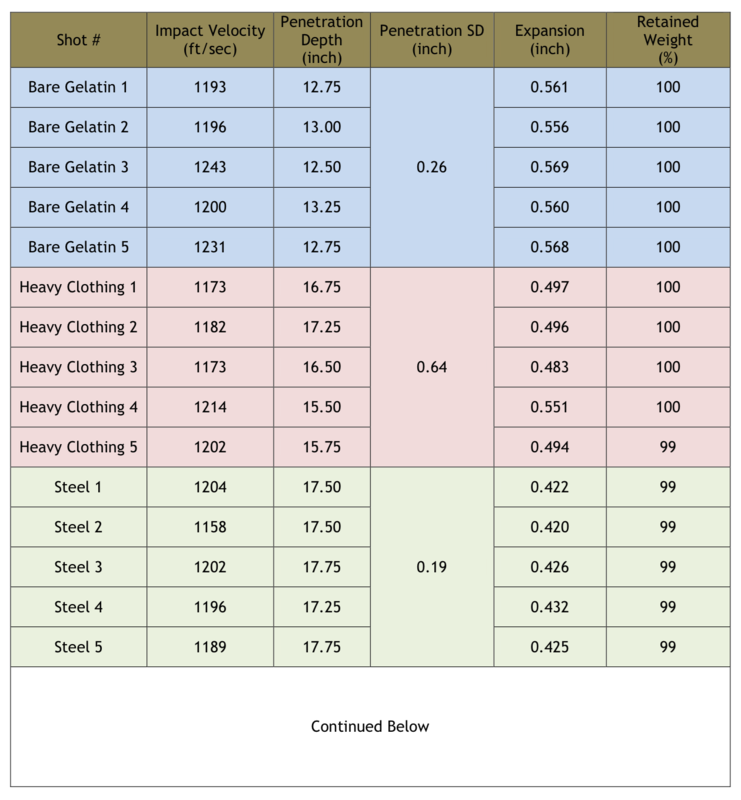 Clothing can be counted on to reduce the expansion of a JHP at minimum and to cause a complete failure-to-expand at worst, depending on the quality of the bullets design and the impact velocity. Expanded bullets slightly increase the hit probability with organs and greatly increase fluid drag and damage done to tissue. The thicker the clothing, the greater the likelihood of bullet clogging and subsequent failures to expand. 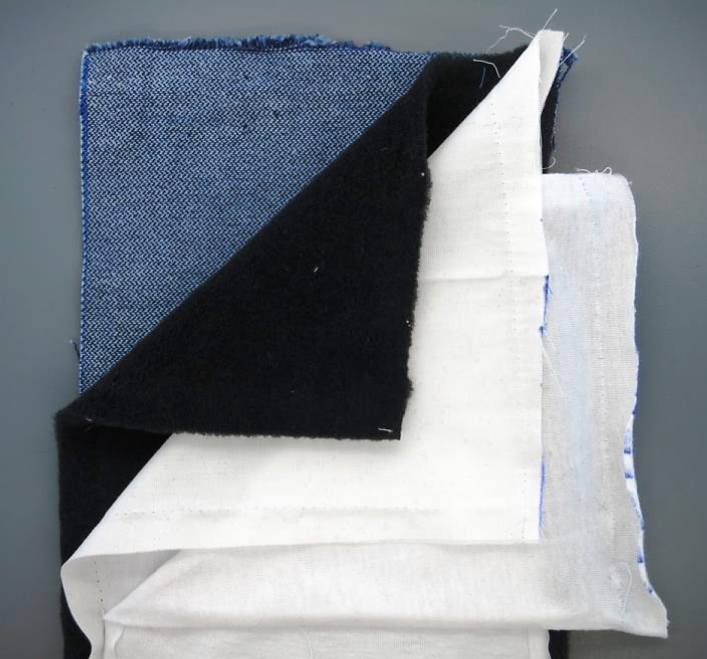 The Heavy Clothing barrier consists of: (1) layer of Denim (14.4 ounces/yard), (1) layer of Polartec 200 fleece, (1) layer of cotton dress shirt (3.5 ounces/yard) and (1) cotton T-shirt (5.25 ounces/yard) layered firmly on the face of the ballistic gelatin block. Bullets that are designed to defeat this barrier will expand to close to their bare gelatin expanded diameter. 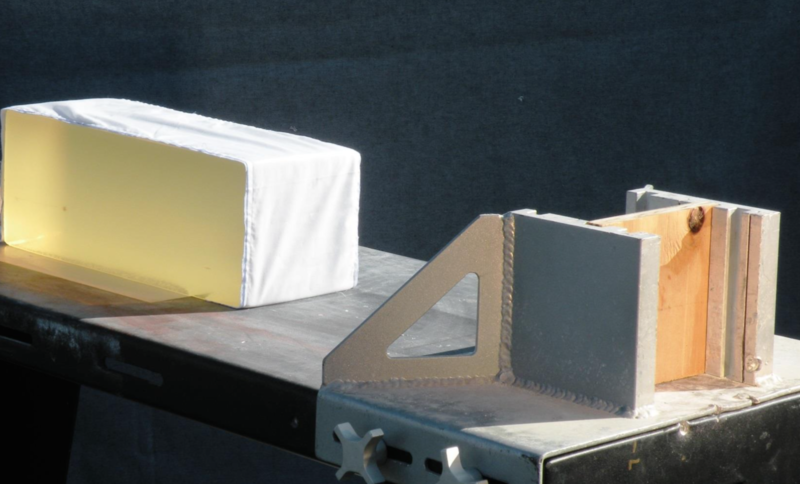 Bullets that perform poorly during this test phase will usually perform poorly on all of the remaining test phases. While it is corollary to shoot only when you have identified your target, the nature of close- quarters fighting and history collide to show us that gunfire taking place around cars can be counted on to take place through cars as well. Stress causes people to become ‘heavy on the trigger’ and to tend to shoot at unseen targets located behind barriers. Hollywood’s portrayal of people using car doors as cover has subconsciously conditioned generations of drivers to consider all areas of a car to be able to effectively shield them from gunfire. 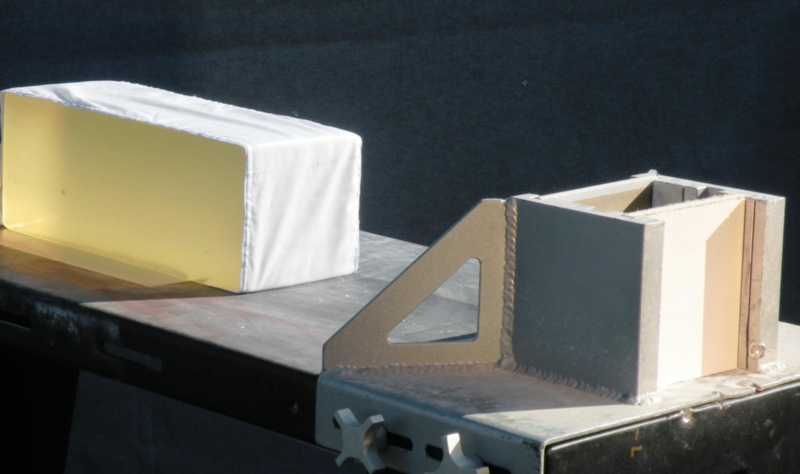 Critics of the configuration of this test event rightly point out that car doors also contain other, more substantial, objects: gears, motors and reinforcing beams. Handgun bullets cannot readily penetrate the car doors and these barriers combined. Since having to shoot blindly through a car door or auto body can be considered to be the tactically worst-case scenario, it is logical to test only those parts of car door that can be penetrated by a handgun bullet. At best, the steel target will cause a handgun velocity JHP to fail to expand but it is not substantial enough to cause the bullet to fail to penetrate to adequate depths in the target beyond. 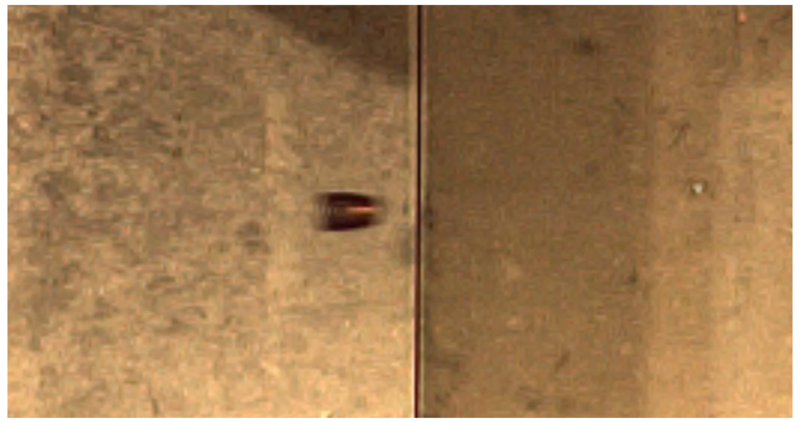 The impact with the steel fixture actually increased this particular bullets performance while the bare gelatin penetration depth was too shallow. Sadly, much violent conflict takes place inside of homes and apartments. In North America, the vast majority of homes have interior dividing walls which are composed of 0.5” thick gypsum board. This material then has a combined thickness of 1.0” which is thicker than the deepest JHP cavity in production. As such, a JHP must be properly designed to function with this obstruction present in the expansion cavity. Bullets which function well in drywall usually function well in bare gelatin and heavy clothing. The FBI scoring system includes the use of wallboard for the same reason as steel – it is commonly encountered during deadly force incidents and when under stress, people have been known to ‘shoot much and shoot often’, including shooting through barriers to hit a fleeting target. The similarity in muzzle velocity and penetration depth, despite a large disparity in expanded diameter, can be explained by the loss of velocity caused by impact with the wallboard panels and the subsequent loss of bullet stability caused by passage through the barrier. According to the FBI Protocol, both bullets performed identically ... in terms of lethality, the Bare Gelatin bullets did more damage to the gelatin blocks because of their higher impact velocities. The exterior walls of most residential buildings in North America are constructed of 3⁄4” plywood panels. As such, the FBI Plywood barrier consists of a single 3⁄4” thick AA Fir plywood panel. For the Home Defender, it is conceivable that a threat could attempt to engage you through a wooden door or by using a window sill or privacy fence as cover. For Law Enforcement, there is essentially no limit to the number of wooden barriers that could pose a challenge to ammunition performance during a deadly force encounter. Plywood is a more challenging barrier than wallboard. However, the effort spent identifying a bullet that can function well in plywood is well worth it as a bullet that can expand in Plywood is indicative of a bullet that will expand well in Wallboard, Heavy Clothing, and Bare Gelatin as well. Bullet C performs very well in both the Bare Gelatin and the Plywood test events. The prudent choice in ammunition selection is to use ammunition that functions as well in Bare Gelatin as it does in all of the other barriers. Such ‘barrier blind’ ammunition does not currently exist but it can be considered to be the pinnacle of performance and is something that is strived for by a handful of premium JHP manufacturers. Auto Glass is the most challenging tactical barrier by far. It is a hard and very strong material that universally deforms the handgun bullets that pass through it. No conventional hollowpoint can expand after passing through the glass because the tip is far too damaged from the impact. 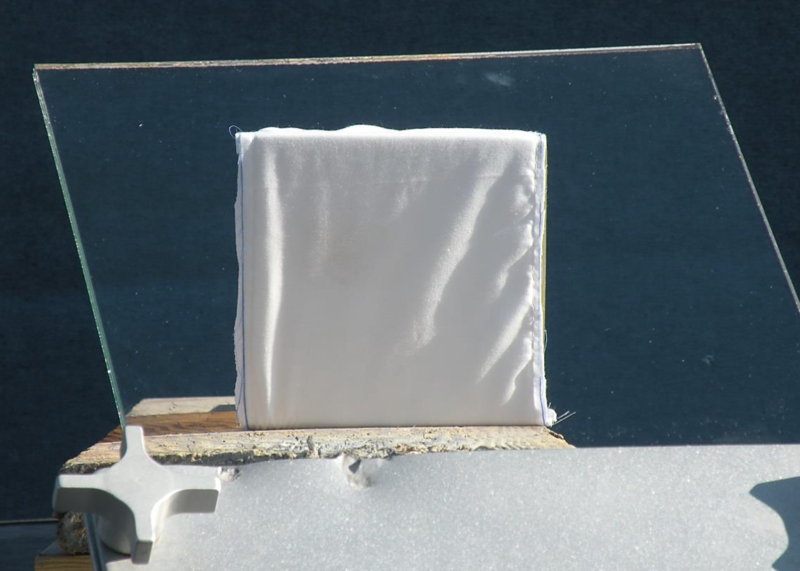 The best that can be hoped for in terms of performance is that the chunk of metal coming through can travel 12.0” or deeper in the ballistic gelatin that sits beyond the glass. The glass panel is an AS1 laminated safety glass panel with a 0.25” thickness. The ballistic gelatin is placed 18” behind the glass panel and covered in light clothing. 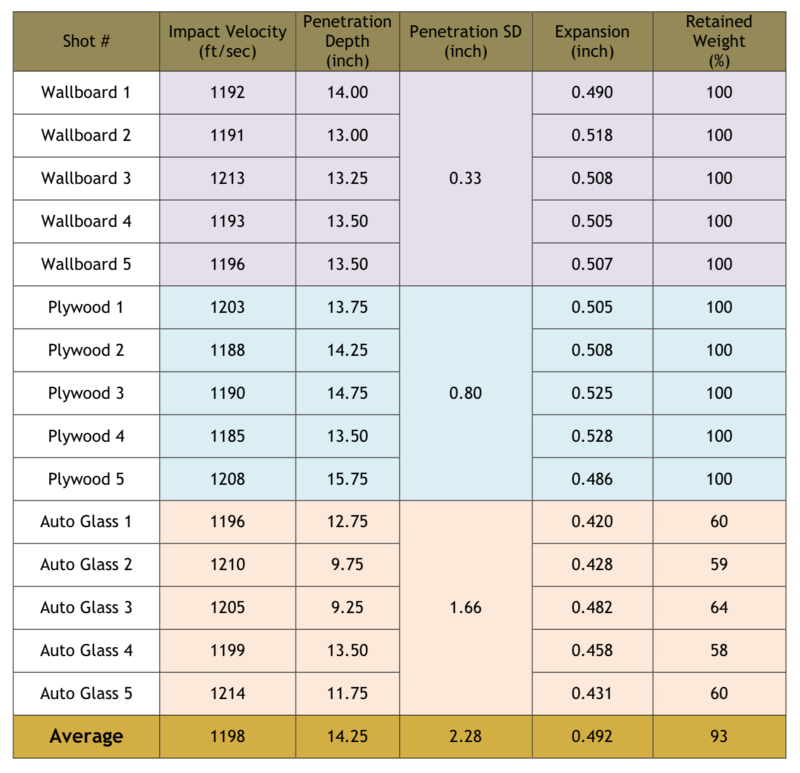 Bullets must be specifically engineered to function well in auto glass — even a bullet that performs well in the previous 5 test events will, except for notable exceptions, perform badly in the Auto Glass test event. Coming in under 12.0” penetration, Bullet D will be an unreliable choice for self-defense usage. A quick examination of the calculations reveals that the FBI places a 70% importance on the depth of penetration and the consistency of penetration. The other 20% importance deals with expansion and the last 10% importance is the retained weight, a measure of the structural integrity of the bullet. All shots from all test events are averaged and used in the equations above. 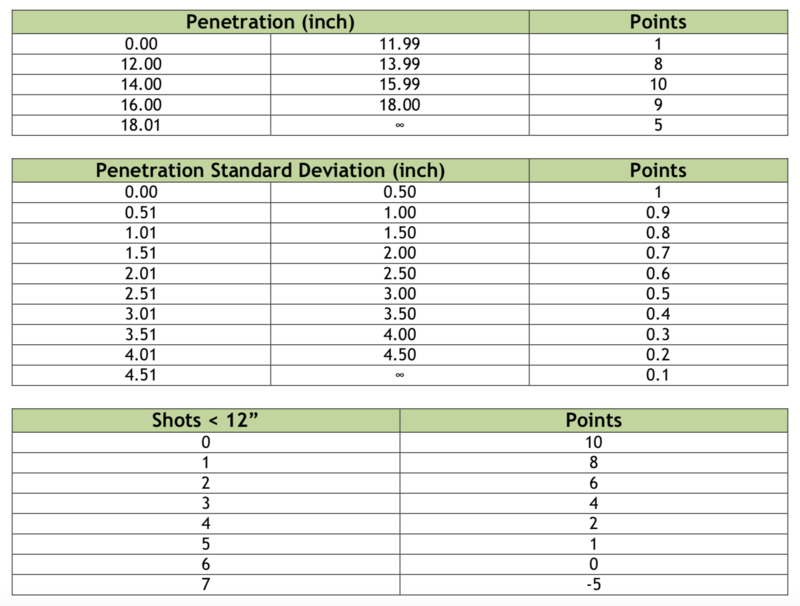 We must first determine our subscore for Penetration Depth, Penetration Standard Deviation and Shots under 12”. Much is said about bullet retained weight. The weight of a bullet is a secondary measurement of its lethality. While a heavier bullet will penetrate further, where weight retention becomes a useful metric is in determining the amount of fragmentation that the bullet experienced. Penetration depth is already a primary metric in the FBI Protocol so this helps to explain the low importance assigned to the retained weight. There are some very familiar cartridges on the table above, but a quick look at the scores indicates which bullets were designed to function after passing through the commonly-encountered tactical barriers that are addressed by the FBI Protocol. Good post-barrier performance does not happen by accident, bullets must be carefully designed to function in these challenging circumstances. Designing a bullet to meet the FBI's criteria is a balancing act of bullet construction, intended impact velocity and material selection. The expansion in Bare Gelatin must be controlled enough to allow for adequate penetration depths, but the bullet must deform enough in Steel to keep the penetration below 18”. Add to this the fact that a properly-designed bullet will be able to expand with the cavity clogged with Plywood and Wallboard and it becomes clear that much investment in Research and Development is necessary in order to provide Law Enforcement and concerned citizens with the ammunition that they need to save their lives.